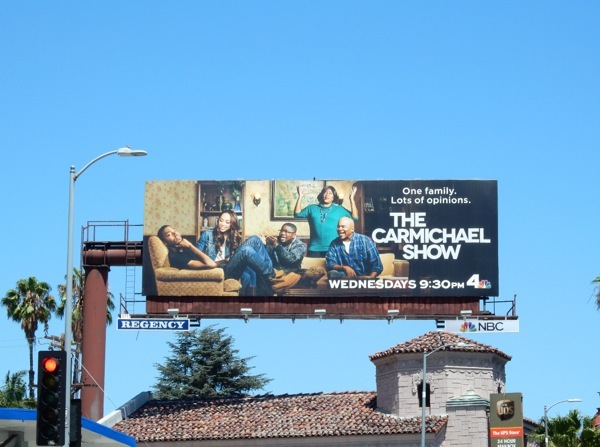 Another day, another new show trying to get you to watch, but will The Carmichael Show be a hit or miss this TV season. 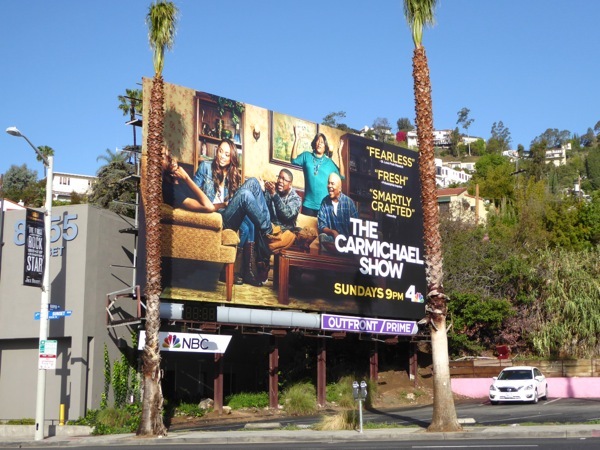 NBC's new sitcom stars comedian Jerrod Carmichael in a family comedy inspired by his real-life relationships with his therapist-in-training girlfriend (played by Amber Stevens West) contrary father and smothering religious mother (David Alan Grier and Loretta Devine) and his ever-hustling brother (Lil Rey Howery). As the tagline suggests, 'One family. Lots of opinions'. 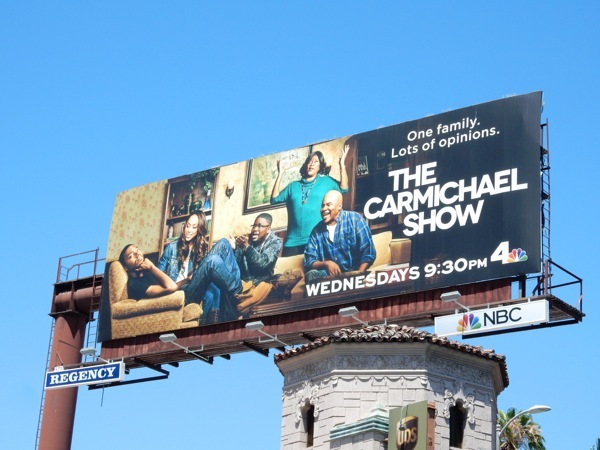 Will watching Jerrod navigate romance, family and real-life topical issues, like race, politics, gender identity, riots, gun ownership and police shootings, be enough to differentiate this sitcom from the usual clutter of comedies thrown out there every season. 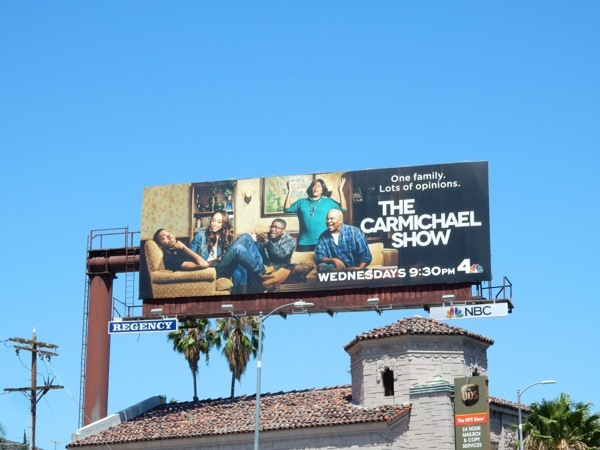 This series premiere billboard was snapped along Sunset Boulevard on July 24, 2015 and this ad creative looks like everyone has something to say, but only time will tell whether the show will get audiences talking when they see it. 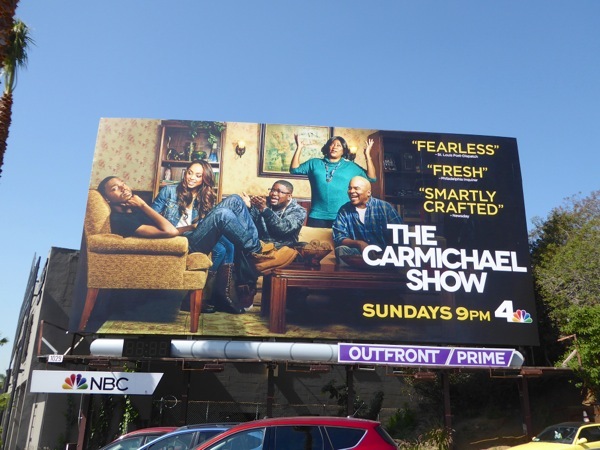 UPDATED: The Carmichael Show may be back for a second season of "fearless, fresh and smartly crafted" comedy this March, but alas the budget didn't stretch for any sophomore season key art. 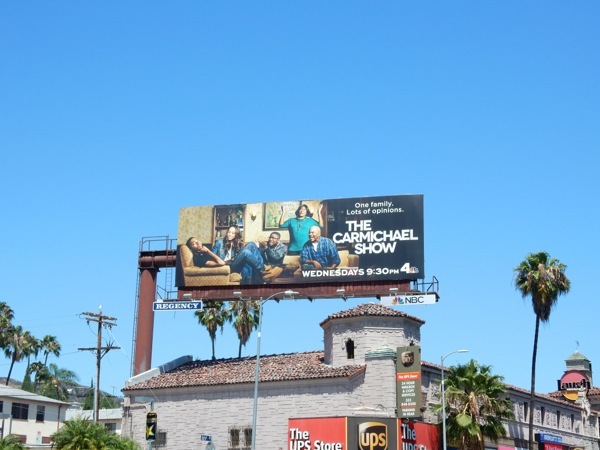 This larger season two billboard was spied along the Sunset Strip on March 6, 2016. 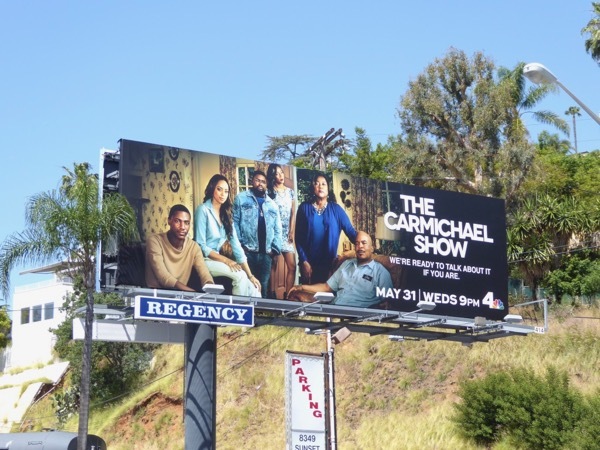 UPDATED: Never one to shy away from sensitive subjects, The Carmichael Show is back for a third outspoken season with this billboard snapped along West Hollywood's Sunset Strip on May 8, 2017.